The event is full. the waiting list is also full. IIT – International Intensive Training is a 9-day immersive retreat in Nonviolent Communication (NVC), where 50-80 participants and 3 to 5 CNVC certified trainers dive into various workshops, home groups, practices and direct application of the principles of NVC. This kind of training happens all over the world and is open to an international group of people from various countries, cultural backgrounds, professions and walks of life to co-create a safe space for exploring vulnerability, gaining communication skills and consciousness and fostering change on personal and community levels over an extended period of time. IIT offers the opportunity to live Nonviolent Communication (NVC) in community with the intention of developing skills and awareness of NVC. During the retreat, participants and trainers live together in community. You learn, eat, have fun, and live with people who want to connect compassionately with each other. An IIT was a course offered around the world by Marshall Rosenberg (the creator of Nonviolent Communication). Marshall structured it containing a core curriculum, plus other diverse content and experience brought by the individual trainers of each IIT, along with what emerges in each group. IIT BRAZIL 2019 will be led by 5 internationally recognized NVC trainers and 2 experienced organizers. It is the first IIT in Brazil in 16 years and the second in the country! Visit our FAQ page click in the menu on the left. Sylvia is a North American Assessor and she sits on the Certification Coordinating Council. She is the co-founder CALF (Candidates/Community Active Learning Forum) where she supports a co-creative learning community online and in person for candidates and the community. She has an undergraduate degree in Nutrition and a masters degree in Intercultural and Interpersonal Communication. As one of her clients said, "Sylvia cares about what goes into your mouth and what comes out of it." She lives in Tucson, AZ, USA and was in an Afro Brazilian Samba band called Batucaxe for 7 years playing the gonza. Ian was born in the UK and now lives in Bucharest, Romania with his daughter, wife and black Labrador. He also lived in Poland for many years, playing a part in the rapid growth of NVC awareness there. Together with Monica (his wife - also a Certified Trainer), he runs the Romanian Association for NVC which aims to be the focal point for bringing NVC to Romania. 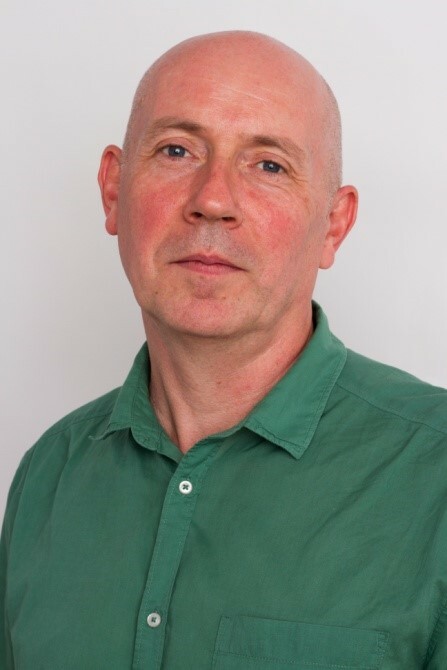 Ian’s background is originally in the corporate world where he worked in financial audit and HR before embarking on a radical change of direction after discovering NVC in 2001. He was certified as a CNVC trainer in 2008 and integrates NVC into his business training, facilitation and coaching as well as offering NVC programs in personal development and for couples and parents. He is also a Solution Focus coach and a team coach for the Romanian part of the Team Academy network of ‘alternative’ educational approaches. 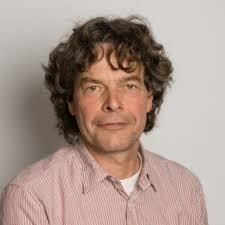 In his work he seeks to combine the transformational quality of NVC with the pragmatic and, despite their popularity, resolutely refuses to use puppets in his workshops. Though some close to him might disagree, he is also known for his humor! 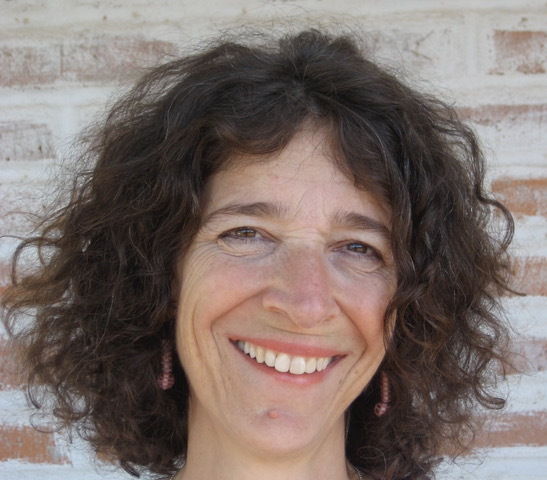 Stephanie is a Certified Trainer and Assessor with the Center for Nonviolent Communication as well as a Mindfulness Based Stress Reduction - MBSR Qualified Teacher and has trainer extensively both with the Center for Mindfulness in Medicine, Health Care and Society and the UCDS Mindfulness-Based Professional Institute. Stephanie is also a certified Yoga Instructor. Stephanie is passionate to share her understanding of NVC as a life-long practice to empower oneself and others to celebrate the humanity in one’s own being, and to encounter the humanity in the other person. 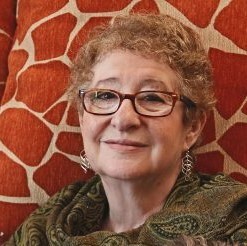 NVC offers transformational processes to support the journey from human to humane by providing clear tools for healing and reconciliation of warring parts within our psyche, for emerging into our wholeness, for consistently re-connecting with our authenticity, and for practicing the gift of mindful and compassionate presence for ourselves and others. MBSR classes offer a path of personal inquiry and specific mindfulness practices that support self-empowerment by reducing reactivity, increasing well-being and aliveness, and learning new ways to relate to ourselves, others and life. By learning to cultivate the intrinsic natural human capacity of mindfulness we proactively respond to needs for self-mattering, self-care and self-responsibility. I was born in Hannover, Germany in May 1958. After leaving school I began studying civil engineering – a path that was based on my motivation to get my fathers acknowledgement as I realized many years later. He was a civil engineer too. In my Ph.D. thesis I specialized in underground constructions in rock, a decision that paved the way for my move to Switzerland where I live to this day. In 1997 I was inspired to attend a workshop with Marshall B. Rosenberg to find some answers to my questions and fears. During this first three day-seminar, I received some fundamental life changing answers. However, it took me quite a while to understand the difference between intellectually understanding NVC and internalizing it. For many years I began to connect with feelings and needs as I never had done in life before – I began to empathize with myself and others. In 2002 I had begun to trust in myself so that I was able to quit my engineering job without feelings of fear or guilt. Again and again I was fascinated by and grateful for the experience that things, people, inspiration, even money come "by chance“. I have been a CNVC certified trainer since 2004. In 2013 I was asked to join the CNVC assessors team of the German speaking part of Switzerland. As an assessor, I support the work of the international assessors group as a member of the CCC (Certification Coordinating Council) since 2015. It was there that I met Sylvia Haskvitz and joined the CALF-Team. Ronnie is a certified trainer with the Center for Nonviolent Communication and Secretary of the CNVC Board of Directors. 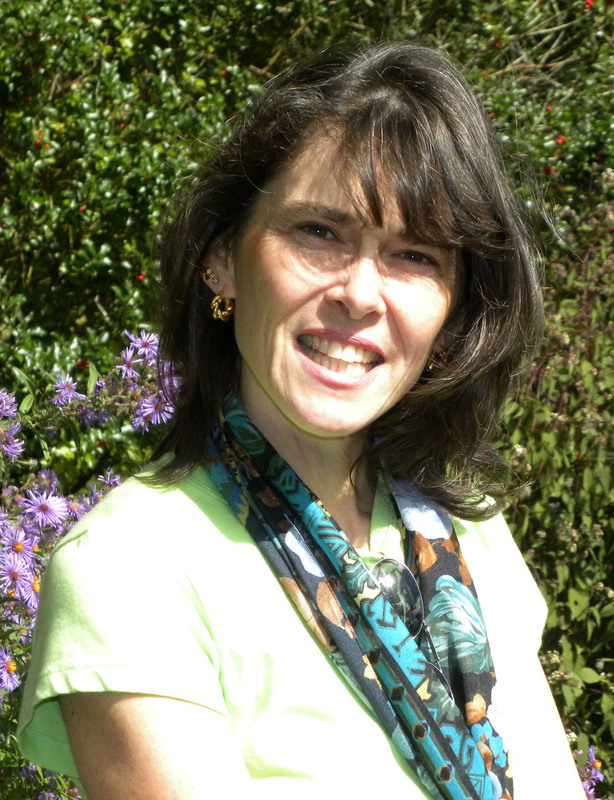 She lives in Buenos Aires, Argentina, where she offers courses and workshops in NVC in Spanish. Ronnie is committed to bringing the work of Marshall Rosenberg to South America and to facilitate the creation of an ever-expanding global community of people who engage in the world using and spreading NVC. She joined the CNVC Board in August 2018, acknowledging that on the empathy/honesty spectrum she leans towards honesty. Ronnie moved to Buenos Aires in order to learn to dance the Argentine tango. She began her study of NVC in Argentina, making many trips to the States to study with Marshall, the Manskes, Miki and others. Prior to moving to Argentina, Ronnie worked for the New York State Education Department managing three State licensing boards in the health professions. She holds a Masters degree in Spanish language and literature and a Masters of Business Administration. She shares her home with Tofi, a delightful chocolate toy poodle. David holds a bachelor’s degree in psychology from Colorado College and a master’s degree in education from Loyola University. 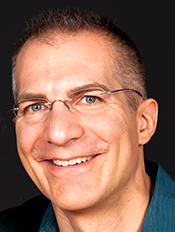 David has been studying NVC since 1999 and became a certified trainer with the Center for Nonviolent Communication in 2010. In 2009, David co-founded the Rocky Mountain Compassionate Communication Network. David has worked with children and their families for over 25 years in a variety of contexts from villages for abandoned children in Costa Rica, to Montessori schools in Taiwan, Bolivia, and the United States. David has been a teacher trainer in language at the Montessori Education Center of the Rockies and currently works with 1st graders as a literacy interventionist. David lives with his wife and daughter in Denver, Colorado. David’s passions include yoga, reading, being in nature, contributing to children and their families, and exploring how to live life from presence, truth, and compassion. Surrounded by the lush nature of the Atlantic Forest, the property is part of a private large area of 35,000 m2. Created by beautiful landscapes, the space easily takes us into a space of inner peace, connection and balance. Travel: The venue is located in a temperate mountain climate, in São Roque, State of São Paulo, just 50 km from São Paulo city. Total IIT Fees consists of a tuition fee (payable in US Dollars or Euro to CNVC) and accommodation fee (payable in Real to the venue) - as outlined in the tables below. *After completing your registration for the IIT, we will send you the link for paying your accommodation reservations. **Meals are included. Vegetarian or vegan. Yuri and Sandra are life and work partners for over 19 years, always seeking personal and social transformation through human connection. 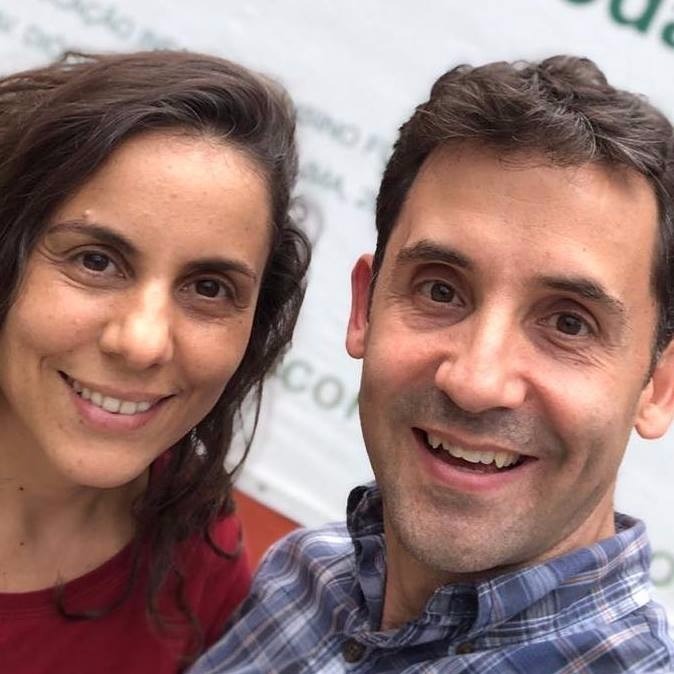 They met each other practicing Aikido, the art of peace, and they have been sharing NVC in Brazil and other countries since 2011, committed to promote conflict transformation and systemic change to a more empathic and life-centered society. They are both certification candidates by the Center for Nonviolent Communication (CNVC). In Brazil, they have been working with government, private sector, schools, communities e social projects, and have been seeking to support and strengthen the development and growth of a diverse community of NVC facilitators in the country. They’ve been involved since 2011 in organizing annual Nonviolent Communication meetings in Palestine/ Israel, which they’ve coordinated in the last 3 years, bringing together 80 to 150 Jews, Palestinians and internationals in a 10 to 14-day IIT-like retreat, and have also done work with activist groups involved in joint struggle. Yuri was born in Israel and moved to Brazil whan he was 14. He holds an M.A. in Social Sciences (focus on Systemic Social Innovation) from the University of Chicago, USA, and an M.A. in International Relations (focus in Peace Studies and Conflict Resolution by ICU, Tokyo, Japan). He founded and directed a human rights education NGO the takes since 2012 Brazilian undergrad and graduate students to Palestine/Israel to intern with Human Rights NGOs. Sandra is a clinical psychologist, holds a B.A. in Fine Arts and a degree in Didactics. She is member of the Person-Centered Approach Association of Sao Paulo (APACP). She has worked with refugees, children, youth detainees, groups for HIV AIDS positive women, children and youth in risk and prostitution situation, emergency service for the 2011 Japan tsunami and earthquake victims and at the UN in the Occupied Palestinian Territories.